The amount of money available for good causes from Reepham’s annual music festival could be severely reduced this year after a number of “no parking” cones were stolen during the run-up to the event. A total of 24 yellow police cones embossed with “Norfolk Constabulary” were put out with the permission of the police along Robins Lane, from School Road to Bar Lane. They were taken between 9.45 pm on Friday 9 August and 5.15 am on Saturday 10 August. A Reepham Life correspondent reports that it used to be a regular occurrence that traffic cones vanished from Robins Lane, usually removed by local residents and thrown into the school grounds or the telephone exchange. With all profits from the music festival being re-invested or donated to local charities, last month’s theft could potentially reduce the amount of money available for good causes this year, the organisers commented. 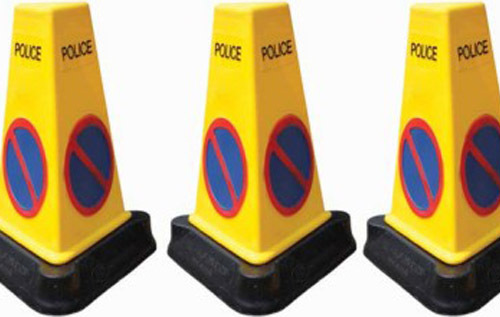 If anyone knows where the cones are, or has seen them or knows anything relating to this, please contact the Reepham Music Festival in confidence on 01603 870645.